Australia and New Zealand Industrial and Applied Mathematics (ANZIAM) has just awarded ACEMS Director Peter Taylor its highest honour, the ANZIAM Medal. 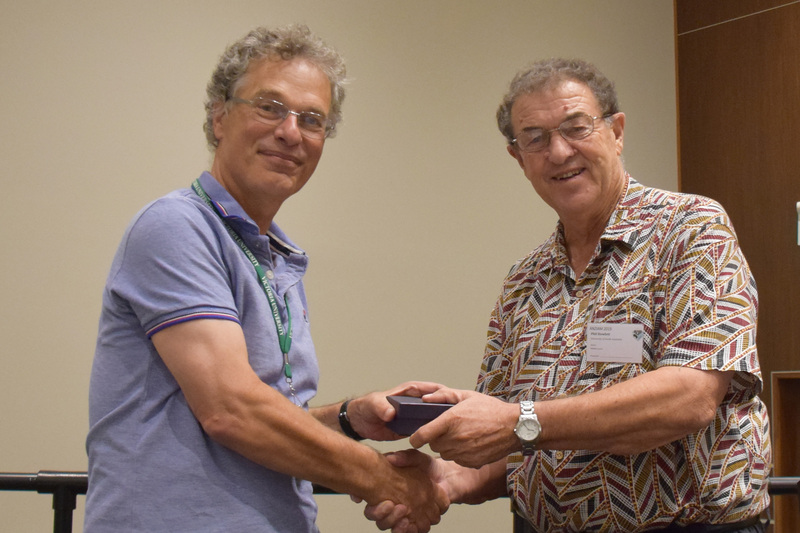 Peter was presented the medal at the 54th Annual ANZIAM Conference, held this year in Nelson, New Zealand. “I attended my first ANZIAM conference back in 1984, and have been involved with it for a long time, so this is a big thrill,” said Peter. ANZIAM is a division of the Australian Mathematical Society (AustMS). For Peter, ANZIAM represents what he calls the broad church of applied mathematics. “If someone asks me what I am, my first answer is always that I am an applied mathematician. This medal is a recognition of that,” said Peter. The ANZIAM Medal was first awarded in 1995. Peter is the 13th recipient. Dr Frank de Hoog is Chair of the selection panel for the ANZIAM Medal. He cited Peter's contributions to applied mathematics, but more importantly his leadership to that community. 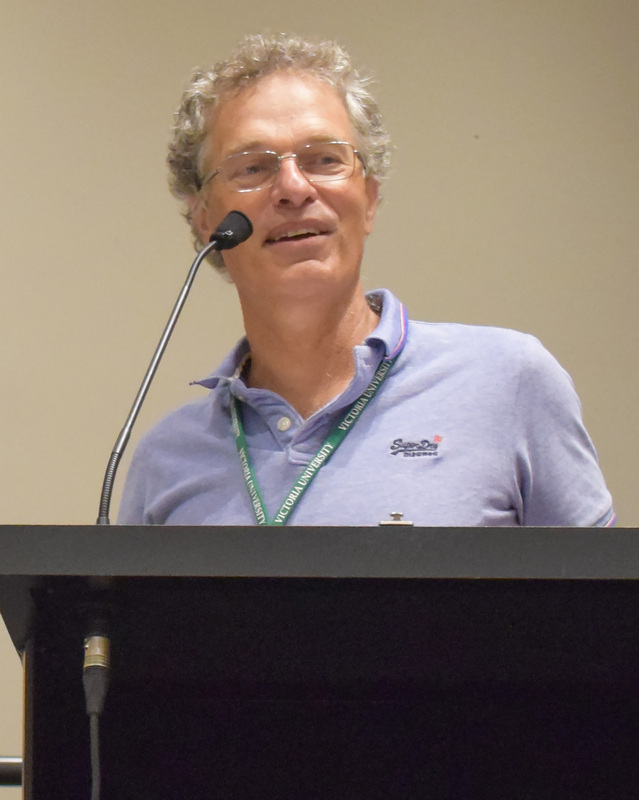 "Peter has provided valuable leadership to the mathematics community both nationally as President of the Australian Mathematical Society (AustMS) and internationally through his active roles as editor and reviewer for several respected international journals. Peter was Chair of ANZIAM (2006-2008) and he played a key part in the design and implementation of the ANZIAM/CSIRO Student Support Scheme that has become an exemplar for other similar schemes elsewhere," said Dr Frank de Hoog. As for this year's ANZIAM conference, Peter said he ventured a bit out of his comfort zone. “There’s an enormous amount of mathematical biology now, a lot of modelling of epidemics, cell biology and things like that. This year, I presented in a session that I wouldn’t normally talk to, about a probabilistic way of analysing a model for the way that cells proliferate in a growing organism, so that was interesting,” said Peter. In addition to his role as ACEMS Director, Peter is a Redmond Barry Distinguished Professor in the School of Mathematics at The University of Melbourne. In December, AustMS awarded Peter its highest honour, The George Szekeres Medal, for outstanding contributions to the mathematical sciences. In 2017, the Australian Society for Operations Research (ASOR) awarded Peter its highest honour, the Ren Potts Medal.